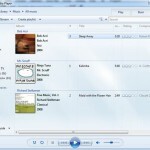 Windows Media Player 12 is the latest media player from Microsoft, which is bundled with Windows 7. WMP12 is interoperable and a complete media player with support for most video and audio formats. 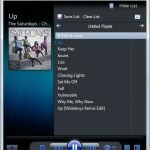 Windows Media Player 12 (WMP12) is a vastly improved media player that supports several new formats, in addition to those supported by Windows Media Player 11 in Windows Vista i.e. MPEG2, WMV, MP3, etc. It also support iTunes libraries and most iTunes media except for DRM protected songs and music. 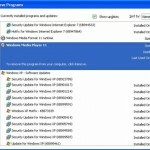 We earlier posted about Windows Media Player 12 for XP, which was a skin for your Windows Media Player in XP. Here are some brilliant skins for your windows Media Player 12 in windows 7. You could try these great looking skins on your Windows 7 media player, if you are bored with the default WMP 12 skin. 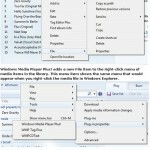 Download Windows Media Player 12 Skins for Windows 7 from here. These Free Windows Media Player 12 Skins can be used on your default media player in Windows 7 and windows vista. Windows® Vista: How to change Windows® Media Player skin?